Hose reels in the workplace are far less common than they were several years. These days suppression systems & portable fire extinguishers are often a preferred option. Furthermore, having the reels in place also requires staff to be trained in their use. Buildings such as office blocks, theatres and car parks typically still have them in situ. Additionally they can be found in premises such as papermills or recycling centres. They are hugely important so they still have a firm place in the fire safety sector. 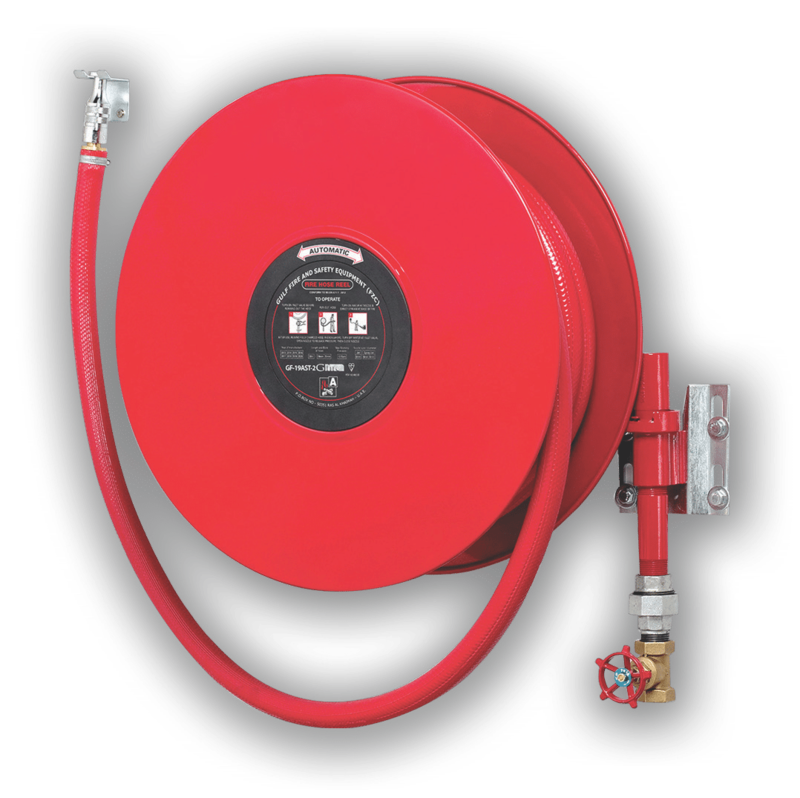 MJ Fire Safety provide a comprehensive fire hose reel service. Our accomplished, IFEDA trained technicians provide annual servicing and testing in accordance with BS EN 671 -1: 2012. Furthermore we are able to carry out the installation of new fire hose reels and removal of old ones. In addition we also provide a fire hose reel de-commissioning service. We are able to remove, cap off & dispose of fire hose reels where-required. We always supply replacement cover in the form of portable fire extinguishers while undertaking work of this nature. All persons employed at commercial and industrial premises with fire hose reels must be trained in the use of the first aid fire fighting appliances. For more information or to book your hose reel service or training please call MJ Fire Safety on 0800 027 2480. Alternatively please get in touch via email.